In simple terms, media agencies are the companies responsible for overseeing the delivery of advertising campaigns by deciding where ads will appear (a process known as media planning) and then negotiating over rates with mediaowners such as broadcasters and publishers (media buying). Increasingly they are also involved in related disciplines such as product placement and sponsorship. See Advertising Industry Structure for more on media agencies. The tables below are rankings for global media networks. 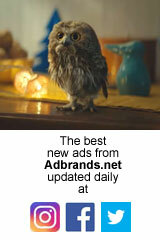 See Adbrands' individual country pages (for example the US or UK) for rankings of top media agencies in local markets. OMD is the lead network within Omnicom, working closely but not exclusively with the BBDO, DDB and TBWA ad agencies. It is arguably the most innovative global network, and has topped the rankings of awards for media planning and media buying every year since 2004. Mindshare is the biggest of the media networks within WPP, itself the world's biggest media planner and media buying group by billings. It was created originally from the combination of the inhouse media departments of WPP's JWT and Ogilvy & Mather advertising networks. MediaCom sits just behind WPP stablemate Mindshare. Originally formed from the media department of Grey advertising, it is especially strong in Europe, and the two key markets of the UK and Germany. In the UK, it is still the only agency ever to have topped £1bn in annual billings. Carat was for years the world's biggest media independent, with no direct ties to any of the major advertising networks. In 2012, it was acquired by Dentsu. Carat's strongest region is Europe. It is also the clear leader in Australia as a result of purchase of local unit Mitchell & Partners. MEC Global was the simplified brand adopted in 2010 by the WPP agency previously known as MediaEdge: Cia. In 2017, following the loss of its biggest US account, AT&T, WPP announced plans to merge MEC with smaller sister Maxus under the new name Wavemaker. ZenithOptimedia was the other major media network within Publicis until 2016. Like Starcom MediaVest, it was split in two, and Optimedia was merged into smaller network Blue 449. When it was created in the 1980s Zenith arguably set the template for the modern media buying agency. UM is the bigger of the two main media networks owned by Interpublic, and changed its name from Universal McCann to loosen ties to the main McCann advertising network. Recent performance has been overshadowed by the loss of several important clients. Havas Media, known until 2013 as MPG, is the main network of French group Havas. Its global footprint is patchy despite a dominant presence in France, Spain and much of Latin America. In 2017, Havas Group merged its creative and media networks under a single management team. Publicis-owned Spark Foundry was created from the spin-off of the old Mediavest brand and its remaining clients into smaller unit Spark. The Mediavest brand was later dropped, and the resulting business is positioned as a challenger network, rebuilding its profile more or less from scratch. Like its Interpublic stablemate, Initiative suffered a series of major account losses in the early 2000s, although performance has stablised more recently. Even so it remains the smallest of what was until recently the "big ten" global media planning and media buying networks. Omnicom's second media network has evolved since 2001 from a single office in the UK into a major worldwide network. It has enjoyed especially strong growth since 2010 as a result of a series of spectacular account wins, both in the US and worldwide. Maxus was the smallest of WPP's international media agencies, and also the youngest of any of the major networks, launched for the first time in 2004. In 2017 it was merged with MEC to create a new network to be known as Wavemaker. Vizeum is the secondary media network created by parent Aegis, initially to resolve client conflicts within lead agency Carat. However it has evolved into a major force in its own right, especially in several European markets. Like Carat it is now owned by Dentsu. Blue 449 is a comparatively new invention, originally created by Publicis from the acquisition and rebranding of local agencies including Walker Media in the UK and Match Media of Australia. It absorbed what remained of Optimedia in 2016. Dentsu x is the third major media network within Dentsu Aegis Network, absorbing the Japanese group's existing international media operations from before the Aegis purchase. It operates almost exclusively in Asia, though there is respresentation in the US and Europe. Arena is the second-string network within Havas, managing regional conflict accounts and a few key international clients. Hearts & Science is the industry's youngest media network, created by Omnicom in 2016 to manage the Procter & Gamble account in North America. Other clients followed, including another giant, AT&T. At the core of H&S's offering is an immensely sophisticated data analytics service. Naked was a pioneer in "media neutral" planning when it originally launched, and it established a global network focused on media strategy. Life has proved more challenging since it was acquired by Australian group Enero prompting a move into creative services as well. Operating solely in the US, privately owned Horizon Media is that country's last major independent media planning and buying agency, bigger even than the local offices of several global networks. It relies on a small portfolio of loyal and high-spending clients. Assembly is the main media arm of MDC Partners, formed from the merger in 2014 of acquired agencies RJ Palmer and TargetCast. It partners the group's various creative shops such as CP&B, KBS&P, Anomaly and 72andSunny. Another of the last remaining media independents in the US, in recent years Empower has evolved from a pure-play media agency into a more diversified business which also offers a broad range of creative services, especially in the digital sector.